Digitalization creates a sense of unease in many people, and worries about job losses in some. Understandable, but unjustified: new jobs will replace old ones, and manpower will be as vital as ever. It’s certainly paradoxical: in highly developed industrial societies digital technologies have become so much a part of everyday life that they have become a matter of course, even for older generations. Even so, many still worry about the impact of further digitalization on the world of work—and this despite the fact that using computers and digital control technologies in the office, at home, and in our cars has become entirely commonplace. Whether in Singapore, Düsseldorf, or New York, today 4/5ths of all employees have a job which relies on the Internet and telecommunications. Even after 200 years and more, these fears have always been proven unfounded. Seen historically, technical developments always make some activities superfluous, but at the same time they invariably create new jobs. In many industries there is currently a desperate search for IT specialists and technicians. Equally, people are ready to slip into completely new professional roles, including positions such as Chief Digital Officer, Data Scientist, or Data Strategist. In a recent study Swiss think tank Avenir Suisse concludes that digitalization is the best way of raising productivity and income, and of creating new jobs. A look at the global job market confirms that the unemployment rate in countries with high-tech and innovative workplaces is significantly lower than in less developed countries. "As a company we see an obligation to provide opportunities for professional development. At the same time, in such rapidly changing times as these we expect our employees to be permanently prepared to develop and adapt." The successful transformation of the world of work should make us hopeful for the future: in most industrial and service enterprises the workplaces of yesterday and today are worlds apart. All of them have become safer, cleaner, and—in a positive sense—more sophisticated. Today it is no longer physical strength and dexterity which are in demand, but rather humans as a whole—with their skills of judgement, intellectual abilities, creativity, and ability to master challenges. 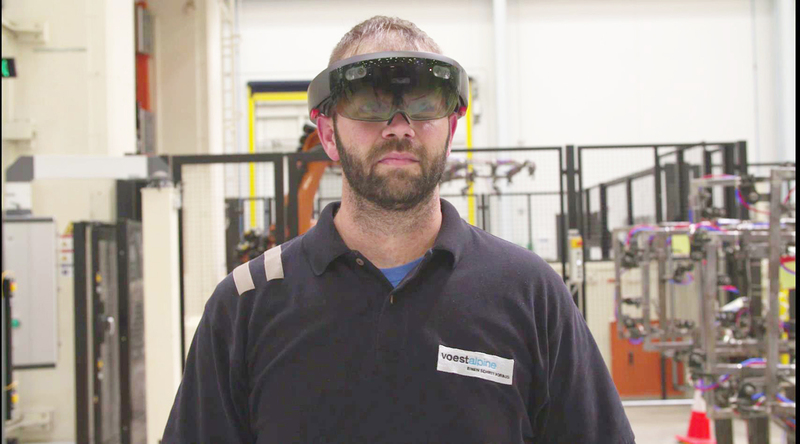 The future is at the heart of everything we do – the future of the world, but also, of course, the future of voestalpine. We therefore view the digital transformation as not just a means to an end but as a central factor that enables us to continue expanding our position as a world-leading technology and capital goods company. It is a decisive driver when it comes to improving quality and processes, making our activities more efficient and effective and thus to further improve our position in global competition. It allows us to employ systems engineering throughout our company, to learn from each other and to harmonize our work methods.